Uncertainty and data integrity are closely related. The uncertainty of data can be modeled and maintained by existing database integrity technology. The usual requirement that integrity constraints must always be satisfied needs to be renounced for constraints that model uncertainty. That is possible due to the recently introduced inconsistency tolerance of methods for integrity checking, integrity repair and query answering. 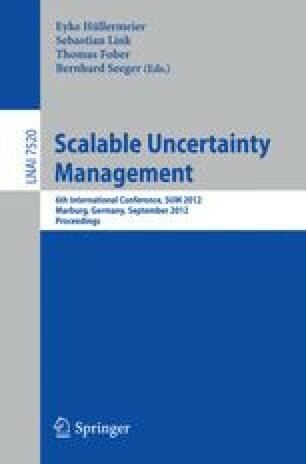 Inconsistency tolerance also enables the scaling up of uncertainty management to concurrent transactions.